Brandon Turkus September 11, 2017 Comment Now! The 2017 Frankfurt auto show hasn't even started yet, and already we have a good idea of what this year's affair at the Frankfurt Messe is going to be all about thanks to Audi. Meet the Aicon (pronounced like “icon”) and the Elaine, a pair of all-electric autonomous vehicles that preview the auto industry's self-driving, green future. Let's start with the Aicon, the one with the most bleeding edge technology. A pure design study and tech demonstrator, it boasts full Level 5 autonomy—this is the driverless car you can take a nap in, and that has no steering wheel, pedals, or buttons. There's just a dash. According to Audi, it “shows the world of tomorrow,” though actual details on how such an advanced autonomous vehicle operates are frustratingly scarce. What we do know is that the Aicon adopts the same kind of lounge-like cabin that other fully driverless cars embrace. There are a pair of stand-alone chairs and a two-person bench, effectively making the Aicon a two-plus-two. The front seats can rotate up to 15 degrees for easier ingress and egress or for simply chatting with other passengers. Passengers can also adjust the seats almost 20 inches fore and aft, thanks to a carpet-covered platform that doubles as a footrest for the second-row passengers. It's an elegant, futuristic solution to the rails common in today's cars. It'll be a spacious cabin, too. With 11.4 feet between the axles, the Aicon has a longer wheelbase than the new A8. Passenger control for the Aicon is handled via a touch-controlled rail that wraps around the front of the cabin, from nonexistent B-pillar to nonexistent B-pillar. Audi is promising haptic feedback, as well as voice and facial recognition. Sounds pretty advanced. Equally good is the all-electric powertrain. 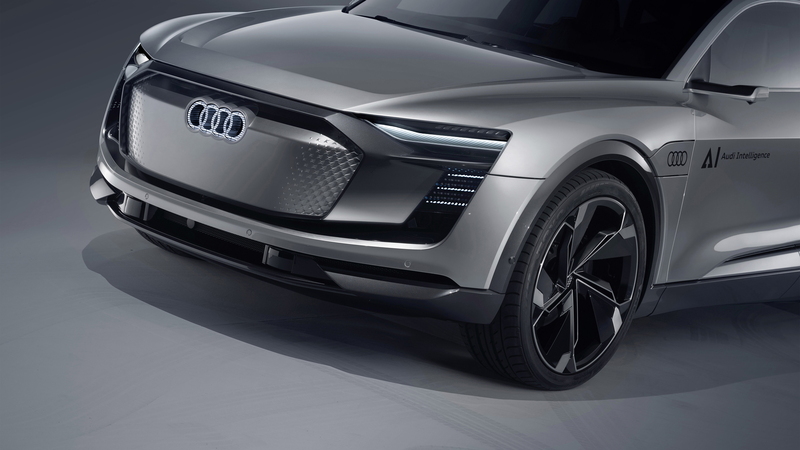 Audi claims the Aicon has four electric motors for true all-wheel drive, 348 horsepower, 405 pound-feet of torque, and a maximum range of nearly 500 miles on a single charge. There's an 800-volt charging system that can refill the battery to 80 percent in under 30 minutes, while the powertrain will happily keep the Aicon moving at a steady 81 mph down the autobahn of the future. If this all sounds wonderfully fanciful, the Aicon's companion concept, the Elaine, is much more realistic. Audi confirmed to Motor Authority that it's planning on bringing a version of this car to market in 2019, likely as a 2020 model. “This car won't be coming to the U.S., but something very much like it will. You can see it in the shapes that we have already with the A7 fastback and others like it, so what I would expect is something like this will be coming, and soon,” Audi of America president and CEO Scott Keogh told Motor Authority during the Volkswagen Group's expansive Group Night auto show preview event. 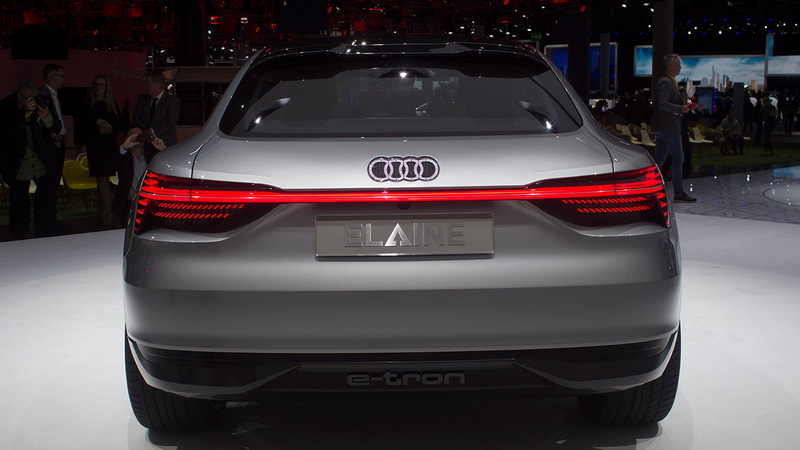 The Elaine boasts Level 4 autonomy courtesy of a system called Highway Pilot, which is itself an expansion of the Level 3 Traffic Jam Assistant on the new Audi A8. Highway Pilot operates between speeds of 37.3 and 80.8 mph, where it can do pretty much anything its driver can. The system can execute passes by changing lanes then moving back into the original lane. The driver, who isn't obligated to do anything but relax, can resume control at any time. While not as advanced as the Aicon, Elaine is more powerful. Using a layout Audi claims will be the norm going forward, three electric motors—one on the front axle and one at each rear corner—the Elaine gets standard all-wheel drive along with 420 hp (which can swell to 496 ponies in a boost mode), allowing it to hit 62 mph in an impressive 4.5 seconds. 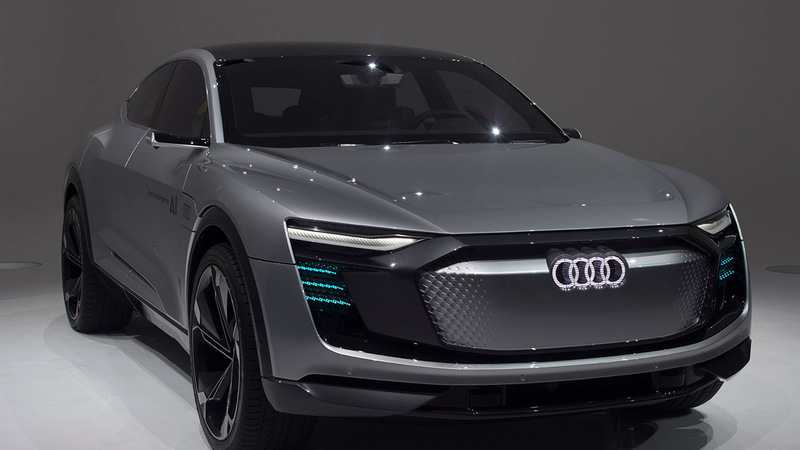 A 95-kilowatt-hour battery provides up to 311 miles per charge, while owners can choose a wired, 150-kilowatt fast charger or wireless charging via Audi's eponymous system. In some ways, Elaine is a more fleshed out idea than the Aicon. Audi's official releases go into specifics about the AI Zone, a system that Elaine owners can navigate to and then drop off their vehicle. Once driverless, the Elaine heads to a garage where it can get a car wash or recharge. That's a pretty neat future. There's also a personal intelligent assistant, which we hope works better than the Amazon Echo that ignores us at home each day. Drawing on data from the car, driver, traffic information, and internet data along with an artificial intelligence, Audi's PIA makes many of the same promises we've been hearing from tech juggernauts since Siri was launched—it will “get to know” its owner using “machine learning” and adapt to their particular quirks. On the face of it, Audi makes it sound like your car will know what your favorite morning radio show is and that you like the cabin to not get above 68 degrees during the winter, though the release isn't specific. What it does say is that all of this collected data will sit in the cloud, where owners can access it using their MyAudi account. Owners can delete information at their leisure, too. 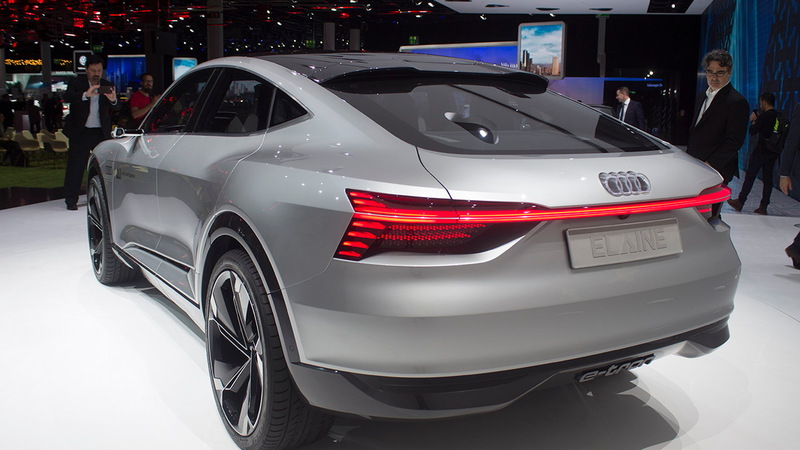 If the Elaine looks familiar, it's because the body is a very slight evolution of the E-Tron Sportback Concept from earlier this year. That high-riding, coupe-like body shares a lot with the Aicon's more futuristic metal, including a prominent hexagonal grille and Audi's Matrix LED headlights and taillights. Stay tuned for more from Frankfurt, and be sure to check out our dedicated hub.